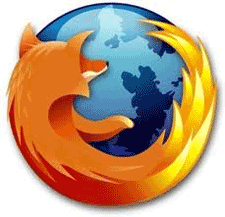 Since Mozilla launched Firefox 3.1 Beta 2 for download, the most notable new feature was probably private browsing mode, which lets you browse without having any of your Web history stored locally. What is Firefox Private Browsing? As you browse the web, Firefox helpfully remembers lots of information for you – sites you've visited, files you've downloaded and more. However, there may be times when you don't want other users of your computer to see this information. For example, if you share a computer with someone and have been shopping for their birthday present. Private Browsing allows you to browse the Internet without saving any information about which sites and pages you’ve visited. Here the following will give you step-by-step instructions for using it. How to Turn on/off Private Browsing? 1. At the top of the Firefox window, click the Firefox menu (Tools menu in Windows XP), and select Start Private Browsing. 2. When you turn on Private Browsing, Firefox will alert you that it will save your current windows and tabs for after you finish using Private Browsing. Click on Start Private Browsing to continue. 3. You will then enter Private Browsing mode, and the Private Browsing information screen will appear. When browsing in Private Browsing mode, the Firefox menu will be purple (for Windows XP the window title will say (Private Browsing) instead) during your session. 1. At the top of the Firefox window, click the Firefox menu (Tools menu in Windows XP), and select Stop Private Browsing. 2. The windows and tabs you were using when you enabled Private Browsing will appear, and you can use Firefox normally. The Firefox menu will turn orange again (for Windows XP the Firefox window title will no longer say (Private Browsing)) when Private Browsing is off. The Internet is a tool that can be used for good and evil. The Internet Dangers section highlights the primary dangers to kids online with specific focus on the sexual exploitation of children. Children are much more susceptible to the power of suggestion, and quite often website content does not even need to be particularly suggestive. There is a multitude of sites offering adult or inappropriate content. There are sites that advocate drinking, taking drugs and smoking. There are even sites that describe how to make bombs out of household items. To some children, the thought of making a bomb is more fun than it is dangerous. Apart from this, there are the obvious and very well documented dangers of online paedophiles that try to trick our children into meeting them face-to-face without the protection of their parents or anyone else. The number of children that were abducted through Internet contact last year alone is 705. That is nearly two kids a day. It is estimated that 1 in 5 children are sexually solicited while using the Internet and 80% receive highly inappropriate emails never mind the very dubious content of some popups. Only 33% of PCs have decent and effective filtering software installed but over a staggering 80% of households have the Internet. Record all visited websites with HTML tile and URL. Support IE, Firefox, Chrome, Safari, Opera and many more browsers. And this Firefox Private Browsing Parental Control also can be used in many browsers such as IE, Firefox, Chrome, Safari, Opera and etc.